Live-Action M.A.S.K. 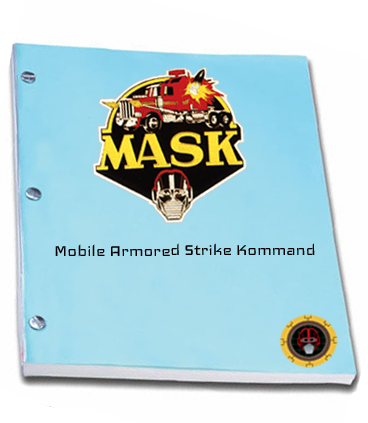 Movie Script - Agents of M.A.S.K. Our journey to develop and write a M.A.S.K. live-action movie script lasted 3 years. After completing our first draft in late 2010, we went public with our intentions to promote our script in early 2011. Through our original M.A.S.K. Movie Blog (now Agents of M.A.S.K.) and social media pages, we built a brotherhood of fans anxious to see M.A.S.K. on the big screen. To chronicle our script-writing journey, we recorded our first podcast titled "Meet The Writers" in early 2012. Stream the podcast below or find it in our archive. Also check out our Movie Pitch page to find out why we think M.A.S.K. would make a great live-action movie. If you are in the movie industry and would like a pdf copy of our script, please send an email to jason@agentsofmask.com along with your filmaking background.